I committed to reading two books every month in 2013, one fiction and one nonfiction. These are June’s selections. A friend of mine recently asked if I really do read two books per month. The truth is I that read more than two books, but I have a secret: I don’t feel obligated to finish I book that I am not enjoying. Case in point: I started reading The Seventh Angel by Jeff Edwards. A Russian nuclear submarine is hijacked and a U.S. Navy warship must find and destroy it. Somebody had to wake the President and a General in a conference rooms says, “My God, it will mean the end of the world.” You get the picture. I mean no offense to Mr. Edwards, but Tom Clancy did a great job with this genre 30 years ago (Yes, I was also surprised when I looked up The Hunt for Red October and saw that it was published in 1983). And how does one fight Resistance? By seizing it by the throat. And doing the work. Every day. Without fail. 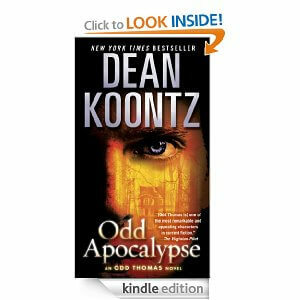 Odd Apocalypse by Dean Koontz. Now Mr. Koontz needs no endorsement from me, but I love his Odd Thomas series. The first Odd Thomas novel I read was Brother Odd, which is set in an isolated monastery in northern California. I was impressed with the respect and dignity Mr. Koontz treated the brothers and elements of Catholic faith, only to find out later that Mr. Koontz is a devout Catholic himself. Odd Thomas is a young man with a gift: he can see the dead. The dead can’t speak, but they can make their wishes known. Odd also attracts celebrity ghosts: he had a long-term relationship with the ghost of Elvis Presley and more recently, the ghost of Alfred Hitchcock. Odd can also find trouble and often stumbles on the work of true evil, as he does here in Odd Apocalypse. This story offers characters full of grace, and will make your hair stand on end.